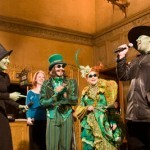 WICKED Celebrates It’s 1st Birthday. 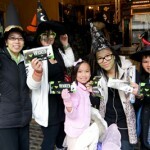 WICKED celebrated its 1st birthday in Melbourne on the steps of the Regent Theatre on Sunday 21 June. 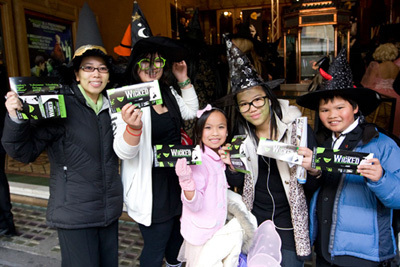 There was an incredible turnout of fans to help us make it a memorable occasion, congratulotions go to the 365 lucky Witches who received a free ticket to the show. 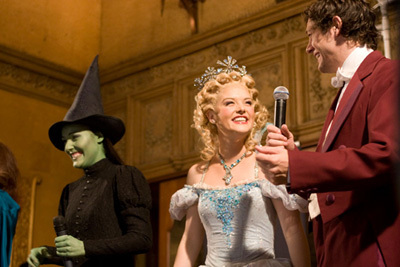 The crowd was treated to a thrillifying morning of prizes, trivia and of course learning to sing ‘One Short Day’ along with the cast of WICKED. 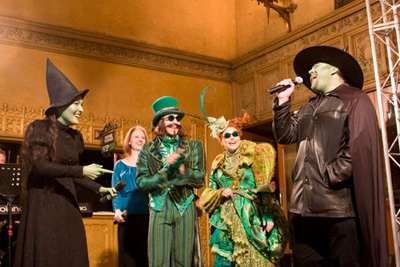 Huggy from GOLDFM hosted the morning and was joined on stage by some of the cast of WICKED, fans even got a chance to wish a very Happy Birthday to Rob Mills who was also celebrating his birthday on this day. 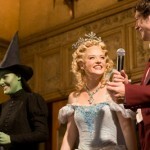 Thank you to all the WICKED fans who helped make it a celebration we will never forget!